Europe’s 7th largest city, Vienna, Austria is an architectural and cultural wonder. Regarded as the ‘City of Music’, Vienna has a fascinating mix of medieval and baroque architecture, more than 100 museums, and a city center designed as a UNESCO world heritage site. It’s also one of world’s top convention destinations. 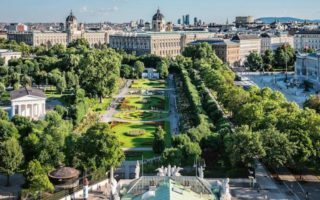 The geography is defined by the Danube River, which runs through the city, and the Ringstraße (Ring Road), which surrounds Vienna’s historic center, and is lined with grand buildings, monuments, and parks. There is wonderful running in Vienna, with a great variety, easily accessible. 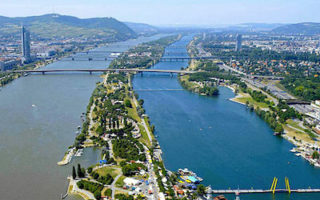 The centerpiece are three separate routes along the Danube: the main river paths, the 21 km path along the adjoining Donauinsel (Danube Island), and the canal. There are several city parks with beautiful gardens and tree-lined paths, notably the Prater and the paths inside Schönbrunner Schlosspark. 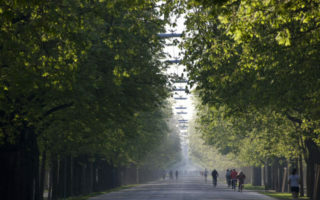 One can also put together a great ‘runseeing’ tour involving the Ringstraße and several parks and paths running off it. Several larger parks within 10 km of the city offer longer pastoral paths and more involved woods and trail running opportunities. 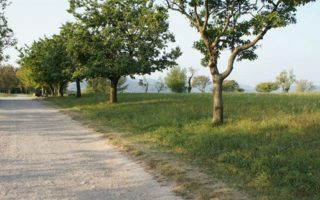 The central part of the Vienna is fairly flat but just on the outskirts there are some great opportunities to do some hills. Vienna’s public transport is extensive. There are 5 subway lines, trams/light rail, buses, and trains. Nearly all of our routes are accessible by public transport, which also facilitates one way runs. Famed 'Ring Road' is a 6 km loop built along the former medieval city fortifications. It' a great opportunity to see many important Vienna landmarks, while getting a workout in! Best to go early. 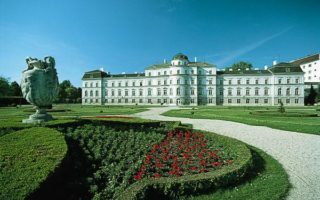 Former imperial summer residence, about 8km west of central Vienna. Perimeter path is about 3 miles around, or enjoy zig-zagging around the gravel palace garden paths, which are free of charge. Wonderful centrally located park with several tourist attractions including a huge Ferris wheel. The tree-lined, straight Hauptallee runs for nearly 5km. Lots of other paths running off the Hauptallee offer a good variety. Pleasant running along the Danube River, part of Vienna's waterside 'trio'. About 6km from north to south, with paths on either side of the river, and numerous opportunities to cross and form a loop. Wide open paved path along Danube Island, 21.8 km from tip to tip. Accessible from numerous subway stations and bridges. Sections near tip are more remote. Popular recreation & restaurant/bar area. Path, known as Donaukanal, along the Danube Canal. 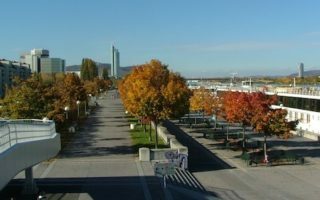 The main path goes for about 4 miles, through the central part of Vienna, with options on either side of the water. Baroque style park, with palace, playing fields, and elaborate flower gardens. Gravel paths and impressive shady avenues of chestnut, lime, ash, and maple crisscross the park. 130 acres, 3km perimeter. 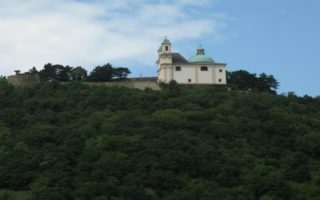 Vienna's most famous hill is a steep, 1 mile climb to a church at the summit, with great views. Grades of nearly 20%! Good add-on to Danube river paths, or pleasant farmland roads in the area. There are some wonderful parks for running in the outskirts of Vienna. This guide has information on Pötzleinsdorfer Schloßpark, Schwarzenbergpark, Lainzer Tiergarten, Steinhofgründe, and Wienerberg. Vienna Basin. The city’s climate is a transition of oceanic and humid subtropical climate. Summers are warm, with average highs of 25C (79F), and occasionally hot days. Winters are cold but not frigid, with temperatures hovering around freezing. Even though rainfall, at 20-25 inches per year is relatively spread out, there are frequent stretches of overcast. Vienna averages about 25 inches of snow annually. For winter running, bring layers and be aware of potential ice and snow. With its relatively northern latitude, winter days are shorter and summer days are deliciously long. 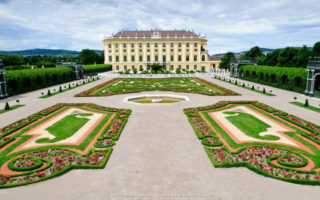 Vienna is an important business city and popular tourist destination. There’s a large number of centrally located hotels. Most of them are on the western side of the river, and near or inside the Ring Road. You will want to stay inside of the outer loop road, Rt. 221, and the A23 to the south. Nearly all of our routes, except the outer parks, are accessible from these main hotels, especially using the extensive and effective transport. There are several independent running stores in Vienna, centrally located (see our map). Tony’s Laufshop. Near Leopoldstadt and the canal path. WEMOVE Running Store. Near the Hilton and Stadtpark. There are some group runs. wmns running store. Store focused on women’s running. OL-Shop. Outdoor goods store, with running gear. Laufsport Blutsch. A bit further afield. Puma Store. In shopping area near Neubaugasse subway. These two companies offer wonderful guided running tours of Vienna. Four different routes through the city on its running tours. 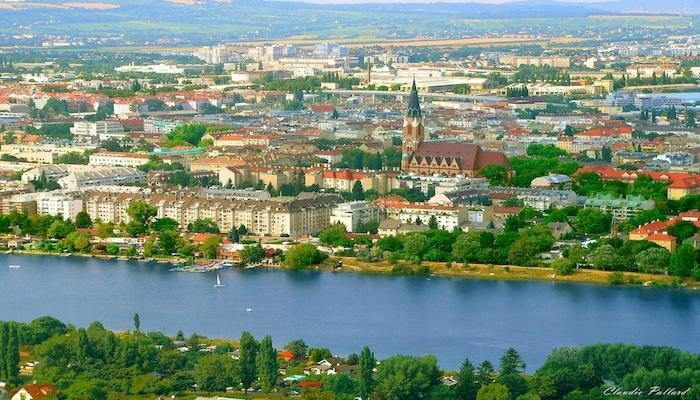 Participants can choose between a run through the Old City (classic and extended route), a route from the Wien River to Danube Island, and the final option: a run along the Danube to Kahlenbergerdorf. Individual tours are also put together for groups. 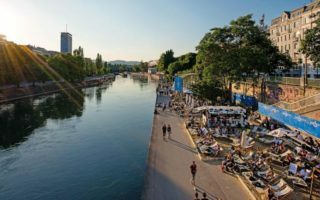 There are currently ten different routes, such as the classic “The Ring”, as well as more unusual ones, such as the Melange route – on the trails of Vienna’s coffee house culture – or a “hip and trendy” ShopRun. Vienna City Marathon April. More than 40,000 participants come to Vienna for the mega-event every year. Wien Energie Halbmarathon Half Marathon in March/April. Along the water. wienathlon – run.climb.jump Obstacle course in the Kurpark Oberlaa in June. International High Road Running. International Viennese High-Altitude Run and International Run of the Bald. September/October.